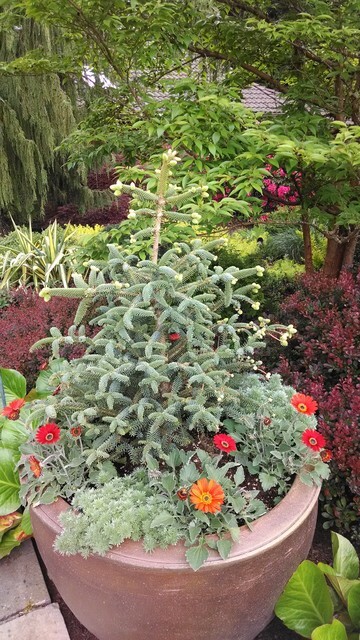 The beautiful Abies pinsapo ‘Aurea’, Golden Spanish Fir, is the star of this entry pot. They grow slowly and make lovely statements. Planting Beds Brought to Life!